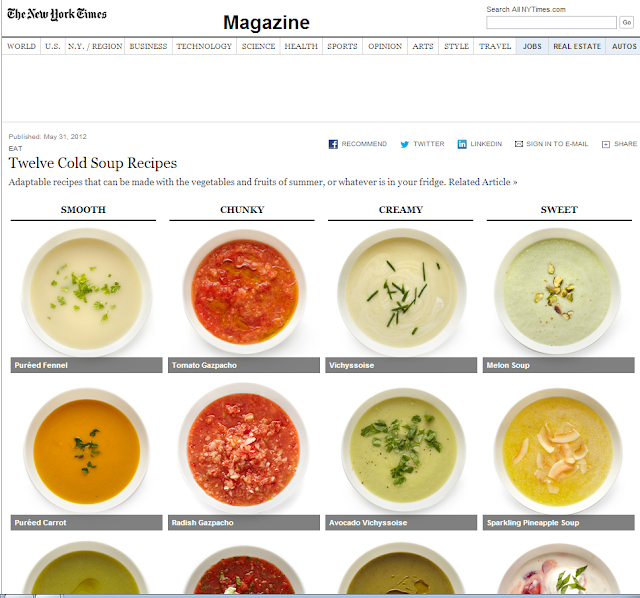 I'm a little late with posting this article (ok.. really late), but I recently stumbled upon this great article on the New York Times that has 12 completely adaptable recipes for cold soups. In this hot, hot weather that Toronto has been getting lately, this article is a godsend! Click the picture for a direct link!